The cover price is US$30.00. This book contains 127 pages. To order a copy now at a discounted price. The first part of this three-part monograph presents an in-depth examination of the development of light theory; mechanisms of light generation in flames; atomic line, molecular band and continuous spectra; the definition, laws and measurement of color; chromaticity diagrams and how the pyrotechnist can use this knowledge of physics in planning colored flame formulations of optimal purity. A “dialogue” is presented wherein the au-thor demystifies the triangle diagram or trigonometrical graph and shows how it can be a means of discovering hidden relationships between the components of a pyrotechnic composition, finding optimum formulations for a pyrotechnic system, and for summarizing the results of pyrotechnic experiments. Reprint Information: Number of pages = 7. Festival ball comets are inexpensive, easy to assemble and produce a nice effect. Before discussing their construction, let me acknowledge that, as far as I know, the basic idea for this firework originated with Bob Winokur. Reprint Information: Number of pages = 1. This paper is intended to benefit readers who do not enjoy a thorough understanding of chemistry. Thus, before dealing with more advanced topics, a discussion of some aspects of general chemistry may be of benefit. Any reader with an understanding of chemical symbols and the Periodic Table, chemical formulas and IUPAC nomenclature, chemical equations, the idea of reversibility and Le Châtelier’s Principle, stoichiometry and mole weights should skip ahead to section 4.2. Reprint Information: Number of pages = 19. One problem commonly faced by smaller display operators is the sponsor of an inexpensive show ($1000 to $5000) who wants a longer show than he has money for. The obvious solution, slowing down the firing, is usually a poor choice. Some slowing may be practical, but often the sponsor of these small shows wants about twice as much show as they have money. If you slow things down that much, you are guaranteed to disappoint the audience. Almost all the displays we do are small shows. As the result, we have spent considerable time trying to come up with ways to give more show for the same money. One idea that has worked particularly well, when circumstances allow, is to interrupt the show with a short fireworks demonstration. There are a number of reasons why one might be reluctant to consider abandoning traditional show firing methods in favor of performing electrically fired shows, especially those choreographed to a musical program. One reason is the perceived high cost of performing such shows. Other reasons might be a lack of detailed knowledge about performing such displays or the lack of a full appreciation of the benefits to be gained. It is the purpose of this paper to present detailed information concerning the staging of electrically fired aerial displays choreographed to music. However, in the process we hope to show how high initial costs can be offset in a relatively short time by increased profit. Also we hope it will become clearer that there are other benefits to be gained. This paper is divided into two major sections. The first discusses electrical firing methods, not from a theoretical orientation, but rather by addressing the practical application of theory. 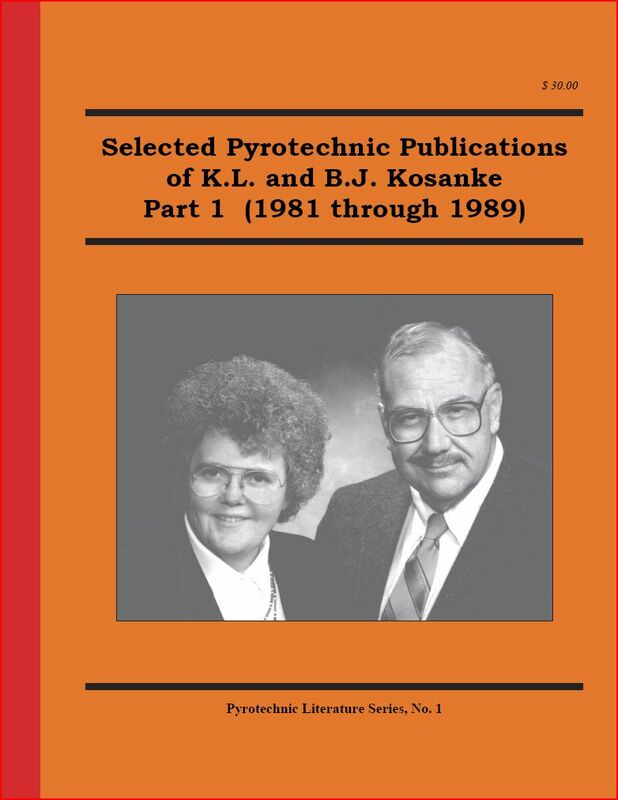 (Note that a comprehensive and well written discussion of theoretical aspects of electric matches, wiring and firing controllers has been authored by Sam Bases. The second section addresses details of musically choreographed display design and performance. This paper will discuss the methods used by the authors for shows priced between $1,000 and $20,000. This approach was chosen in part to limit the length of this paper, but mostly because it is only these methods about which the authors have had extensive experience. Certainly it is not intended to imply that these methods are the only approach or even the best approach. However it should at least serve to demonstrate all the important aspects of electrically fired shows cho-reographed to music. For readers who have not yet begun performing such displays, hopefully, this paper will serve as a starting point from which their methods can be developed. For readers already performing such displays, this paper may present some alternate ideas that may be of some use. Reprint Information: Number of pages = 28. Download for free pp 51-76. The sizzling colored comets described in this article have brilliantly colored heads, have short white tails and produce a sound much like frying bacon. They are very simple modifications of standard potassium perchlorate color compositions, are inexpensive and are relatively easy to make. These sizzling colored comets are suitable for use as comet stars in shells or for use as single large comets. When firing by hand, the problems of steel mortars can easily be overlooked. However, even for relatively small electrically fired displays, steel mortars and the usual alternatives (paper and PVC mortars) have limitations that are difficult to cope with. Reprint Information: Number of pages = 5. Download for free pp 78-81. One hears a number of reasons why some manufacturers are reluctant to seriously consider the use of plastic shells. Among these are a feeling that it would somehow represent a betrayal of tradition and aesthetic values; the problem of long lasting debris; that it requires the learning and application of significantly different techniques, which translates into development costs. I understand all of these reactions quite well; I felt and expressed them myself in the past. It was a slow and sometimes trying metamorphosis from the position I expressed in the past to the one I now take. Reprint Information: Number of pages = 4. Several months ago, our company was approached by the Suisman Titanium Corporation. They told us that they were considering introducing some new titanium products specifically intended for the fireworks trade, and that their materials would be priced below that of titanium sponge. They asked whether we would perform an evaluation of their “Pyro-Flake” titanium and make recommendations concerning the introduction of their products to the fireworks trade. We performed that study, and one of our recommendations was that a condensed report of our study be published. This article is that condensed report and was in part subsidized by Suisman Titanium. However, Suisman Titanium has asked us to be completely candid, and they have not exerted any editorial control over the content of this article. We have had a high degree of success using RAP Shells. Assembly times are a small fraction of what is required for Italian style construction and nicely symmetric breaks can be achieved when the proper techniques are employed. This article is a summary of successful methods used by us and reported to us by others. However, no attempt will be made to give detailed step by step instructions, nor will the information in our “Guidelines for Assembling RAP Shells” be repeated here. While the information presented below is particularly relevant for RAP Shell assembly, much also applies to assembling other types of plastic and plastic/paper shells as well. To assist those readers who may not be familiar with RAP Shells, two figures have been included. Reprint Information: Number of pages = 4. Download for free pp 91-94. In an earlier article on High Density Polyethylene (HDPE) mortars, results from an initial series of tests were published (Pyrotechnics Guild Int’l. Bulletin, No. 54, p 5). Those results will not be repeated here. This article continues by presenting the results from an additional test, a summary of the author’s field experience since the first article, and comments on HDPE mortar use in England by Rev. Ron Lancaster. During the past couple years, in the course of assisting attorneys as an expert witness, I have come to learn a little about product liability. Because this subject is so important to our industry and because product liability laws are not well understood by many of us, I have decided to share with you what I have learned. However, it is important that you understand that I am not an attorney, that my experience in this area is not vast, and that product liability laws are state statutes which vary significantly from state to state. At best, the material presented in this article should only serve to provoke a thorough discussion of the subject with your attorney. The National Fire Protection Association, Technical Committee on Pyrotechnics is in the process of revising NFPA-1123, Code for the Outdoor Display of Fireworks (formerly called Public Display of Fireworks). In preparation for considering the appropriate separation distances between spectators and mortar placements and between spectators and fall-out areas, it seemed that it would be helpful to know how great the break radius was for hard-breaking spherical shells. Thus an attempt was made to collect that data. It was also felt that the data would be of general interest to the pyro-community; it was in that belief that this article was prepared. CMC, as it is commonly called, is more properly referred to as Sodium Carboxymethylcellulose (carboxy-methyl-cellulose). In the food industry it is also frequently referred to as cellulose gum. A shell ignition failure means there will be a live dud in the fallout area after a display. If that dud is not retrieved, is found by a member of the public, and that person is subsequently injured as the result of mishandling the dud shell, an insurance claim against the shooter and manufacturer will almost certainly result. This article presents a discussion of one method which can result in a significant reduction of the number of shell ignition failures. One type of fireworks data generally only guessed at is the altitudes of aerial shells at the time of their burst. In addition to addressing general curiosity, this data is often necessary when designing major aerial displays. Frequently it is important to know fairly accurately at what altitudes the various shells will appear. The rule-of-thumb, that shells break at about 100 feet per shell inch, may be a handy guide but is only very approximate and does not address differences between shell types and manufacturers. J. G. Taylor (Pyrotechnica X) published a theoretical paper which discussed a triangulation method for measuring the height of an explosion in the air. The paper was elegant in its mathematical approach, but may have been somewhat lacking in terms of practicality. The method suggested in this article is less elegant but is also quite practical. The intentional production of sparks in fireworks contributes significantly to the beauty and spectacle of displays. However, in comparison to the time and effort devoted to generating improved color formulations, relatively little attention has been directed toward the possibilities for new and improved spark generation. This article is offered in the hope that a review of pyrotechnic spark generation might stimulate increased effort in this area. It is acknowledged that this article draws significantly on the published works of Takeo Shimizu. Reprint Information: Number of pages = 6. Someone recently raised the question as to whether there could be potential problems with high density polyethylene (HDPE) mortars from contact with detergents and from exposure to sunlight. This article was drafted in response to a request to address those concerns and also to present an update on the status of acceptance of HDPE mortars by display companies and regulatory agencies. Titanium is a very effective generator of white (silver) sparks when used in the manufacture of fireworks. This is because of three of its properties: it ignites easily and burns readily in air, it has a high boiling point, and it is corrosion resistant. Because of this unique combination of desirable properties, the use of titanium in fireworks is generally easy, relatively safe and very effective. Before discussing the ways in which titanium is used in fireworks and giving some sample formulations, it is useful to discuss why the properties mentioned above are so important for a pyrotechnic spark generator. One of the most frequently asked questions is “How much lift powder do I need for my shell?”. Unfortunately, the answer is not an easy one. The first reason is a lack of consensus regarding the optimum height to which various sized shells should be propelled. Of course, it is a requirement that burning components must not fall to the ground, but that is where the consensus ends. For a 3-inch shell, is 250 feet high enough or is 450 feet required? The second reason is that after deciding on the proper height, there are still a large number of other variables that determine the needed weight of lift powder.